But the real news here is the smartphone pricing that's been sent out to beta customers. Unfortunately, Republic Wireless didn't provide device names or any details of that sort; all that's been disclosed are three price points and some specs. Entry Level: The cheapest of the three tiers, an entry level device will cost $199, will be made by an "unknown" manufacturer, and will feature a 3.5-inch touchscreen, 600MHz CPU (! ), 0.5GB of storage, and a 5MP camera. Engadget speculates this could be the ZTE Libra or the iNQ Cloud Touch. Mid-range: For $299, you can have a smartphone manufactured by a "well known" company. It'll come with a 3.7-inch touchscreen, 1GHz CPU, 1GB of storage, a 5MP rear camera, and a VGA front-facing camera. Engadget's guesses are the Galaxy U, HTC One V, and Huawei Vision. Top Line: At $499, the fanciest option will be a 4.3-inch device running on a 1.2GHz dual-core processor, featuring 8GB of storage and a 7MP camera. The last spec should raise some eyebrows - as Engadget correctly points out, there haven't been too many Android phones with 7MP cameras in recent memory. Notably, these prices include not only the device, but also the first month of service. Additionally, nothing's set in stone - Republic Wireless' PR told Engadget it's still deciding which phones would be most appealing to consumers. 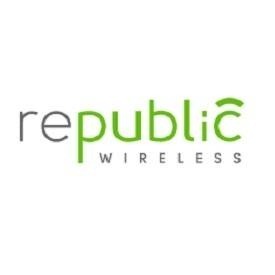 For a refresher on how Republic Wireless will work, check out our earlier coverage of the service when it was initially launched - it certainly seems like it will be quite unique.